Sprint Center is Kansas City’s premiere venue for concerts, sporting events and other live entertainment. All the biggest music acts play at Sprint Center, and Tickets For Less can meet all your needs for Sprint Center tickets. Our tickets are sold with no taxes and no fees, so the price you see is the price you pay. 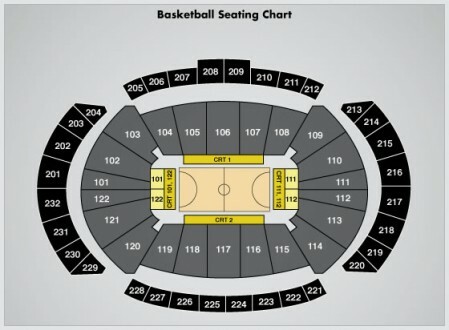 Seating options at Sprint Center are vast, whether you’re looking to go to a sporting event or a concert. For question about Sprint Center suite tickets, don’t hesitate to contact Tickets For Less at 877-685-3322. Tickets For Less offers suite tickets as well as the best deals on any seat in the venue. In 2016, Selena Gomez, Dolly Parton, Twenty One Pilots and Journey are slated to perform at Sprint Center. Make sure you grab you tickets for these shows and many more while you can! In addition to concerts and music events, Sprint Center has been the host of the Big 12 conference basketball tournament and the early-season college basketball tournament CBE Classic. Other Sprint Center events include Pro Bull Riding, NBA preseason and hockey. Sprint Center opened October 2007 and seats over 18,000. It is owned by Kansas City and cost $176 million to construct. Garth Brooks played, and sold out, nine concerts to open the venue that October, and since there have been countless sporting events and prominent artists coming to Kansas City. Just across the street from Sprint Center is the KC Power and Light District, which is one of the best locations in Kansas City for nightlife. The College Basketball Experience is also housed at Sprint Center. The College Basketball Experience houses the National Collegiate Basketball Hall of Fame and includes interactive exhibits where basketball fans can experience what it’s like to play college basketball. The CBE is attached, but admission is separate. Tickets For Less is one of the largest sellers of Sprint Center, Kansas City Chiefs, Kansas City Royals and Kansas Speedway tickets. To order, call 877-685-3322 or visit our website.